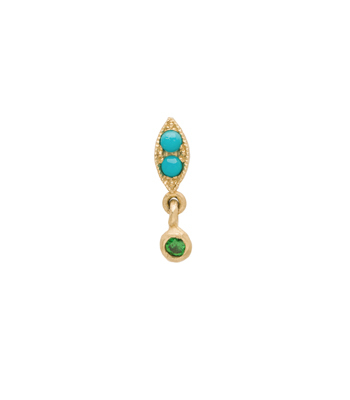 This tiny, nature-inspired single earring makes the perfect colorful accent for a second ear piercing. 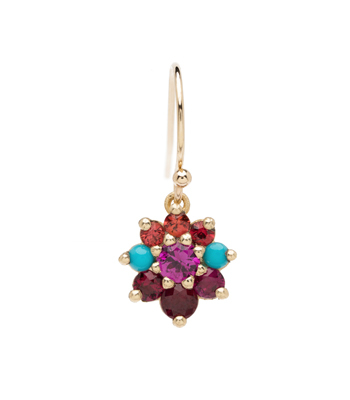 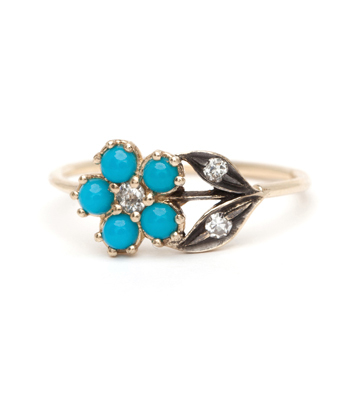 Eye-catching turquoise cabochons set in solid gold are punctuated with a pink sapphire drop, dangling with every move. 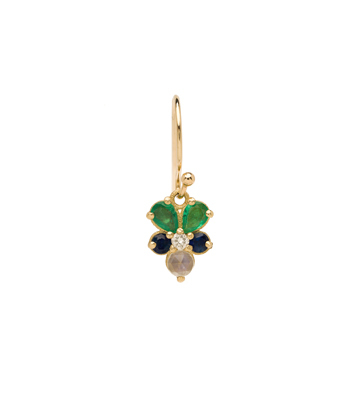 Sold individually for maximum mix and match possibilities. 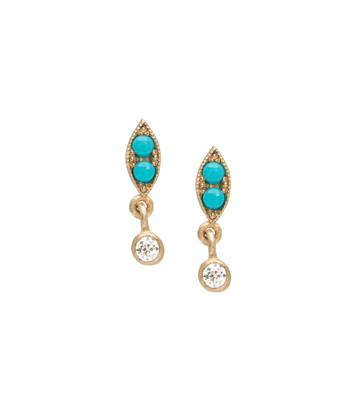 These unique single earrings make the perfect accessory to dress up your ears, whether adding to a beautiful evening ensemble as a set or playfully mis-matched with your favorite pair of denim.